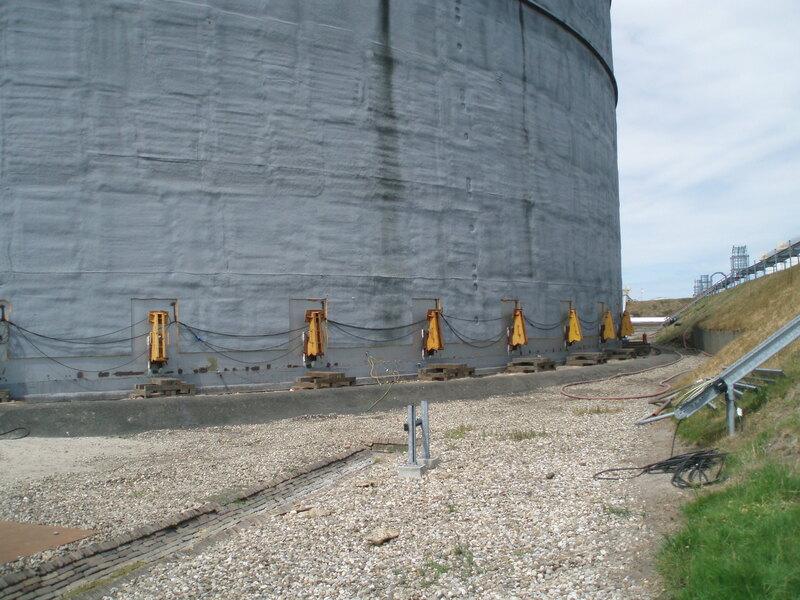 Antwerp Jacking of 40m diameter tanks. Renewal of foundation. 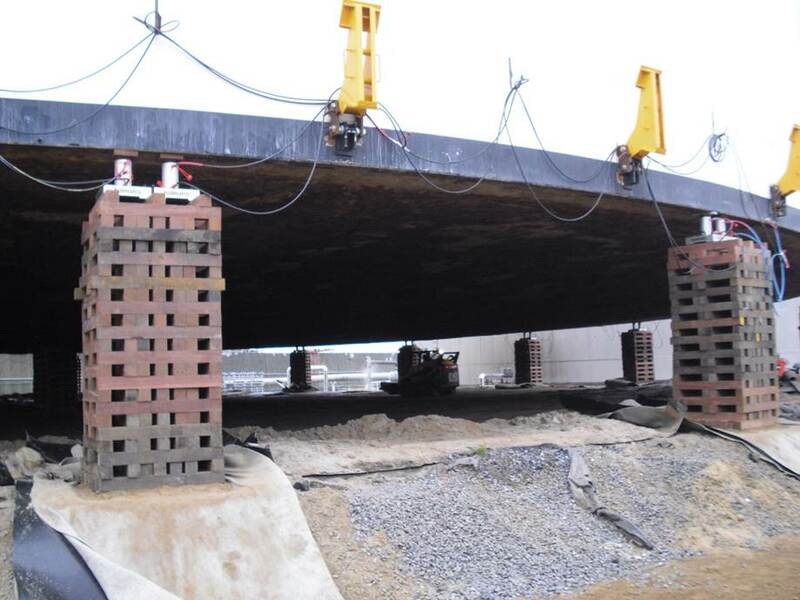 Renewal of annular and bottom plates 3 tanks 2000-1-2-3, diameter of 40,9m. Jacked up to 1m80. Complete repair of foundation, annular and bottom plates. 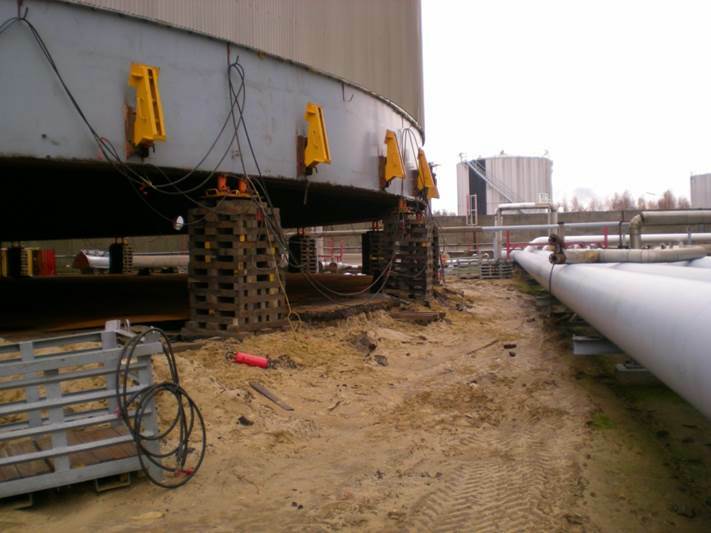 Antwerp Jacking of 55m diameter tank. Renewal of foundation. 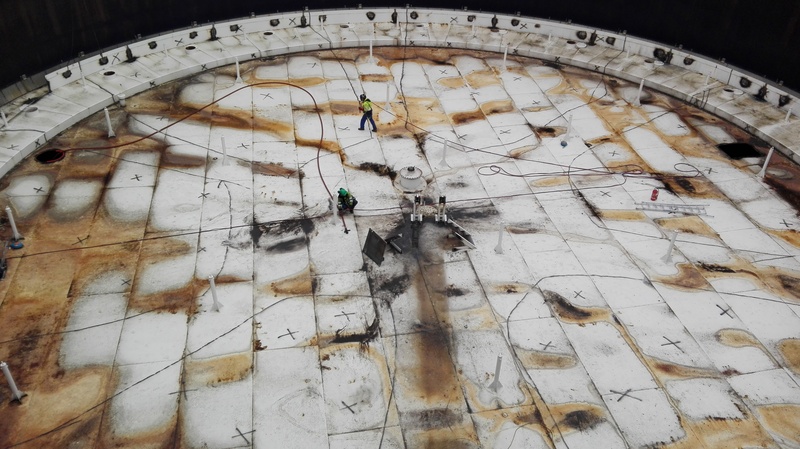 Renewal of annular and bottom plates Tank 406, diameter of 55m, fixed roof. Complete repair of bottom, annular plates and foundation. Tank was jacked up to above 2m. 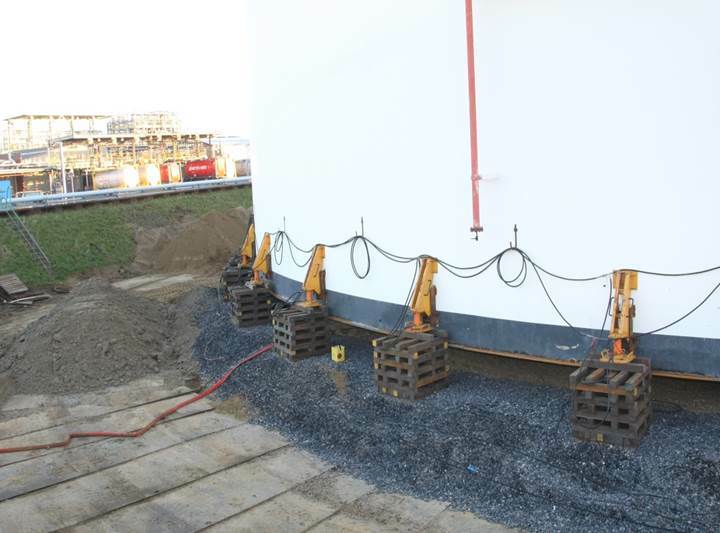 Antwerp Jacking of 50m diameter tanks Renewal of foundation. 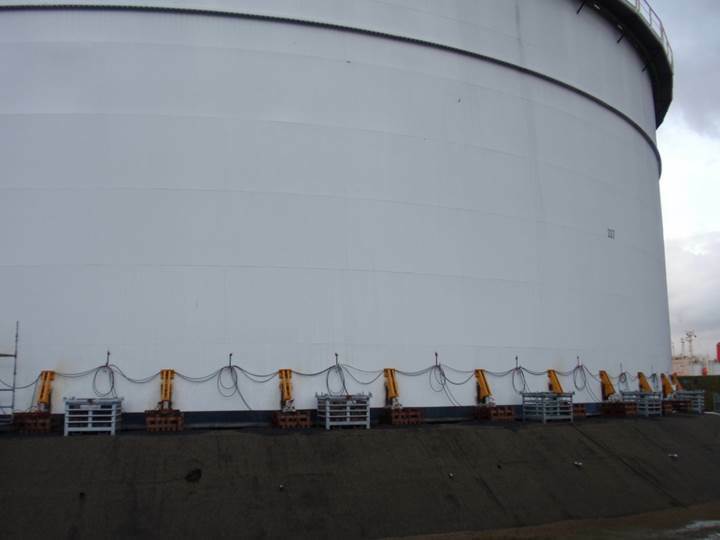 Tank of 50m diameter, jacked with complete bottom. Renovation of foundation. 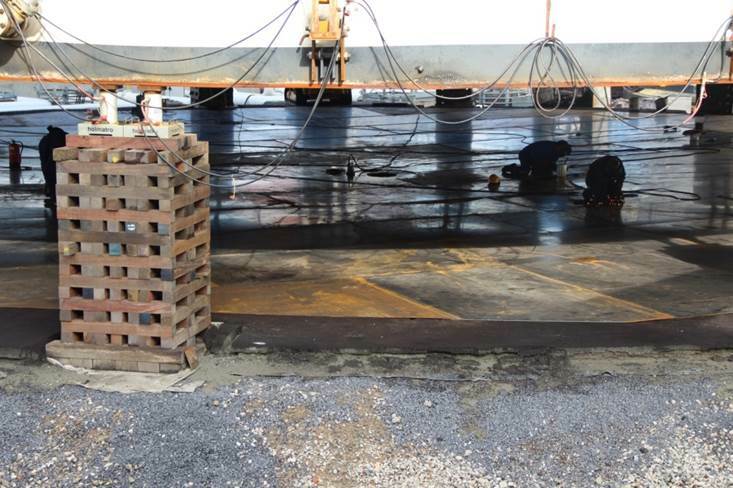 Rotterdam Jacking, renewal of complete bottom including annulars. Jacking of the external floating roof. Renewal of foundation. Renewal of seal of floating roof. 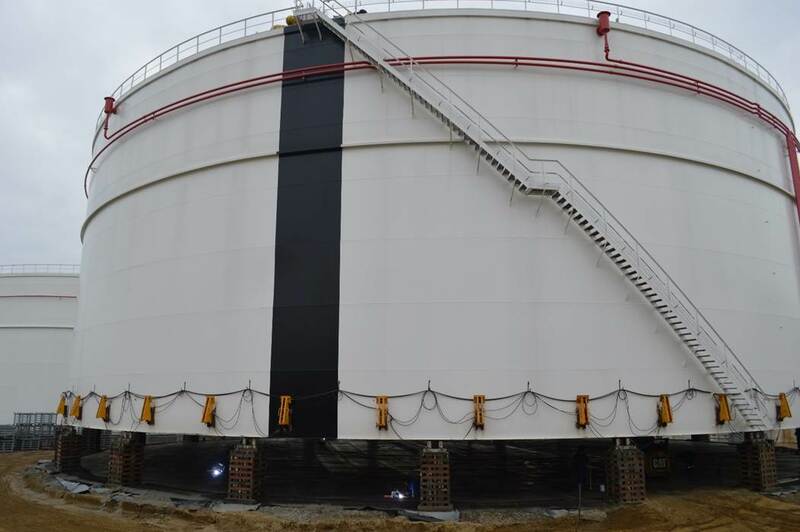 Tank diameter 61m, open top with external floating roof. Jacked to 2m. 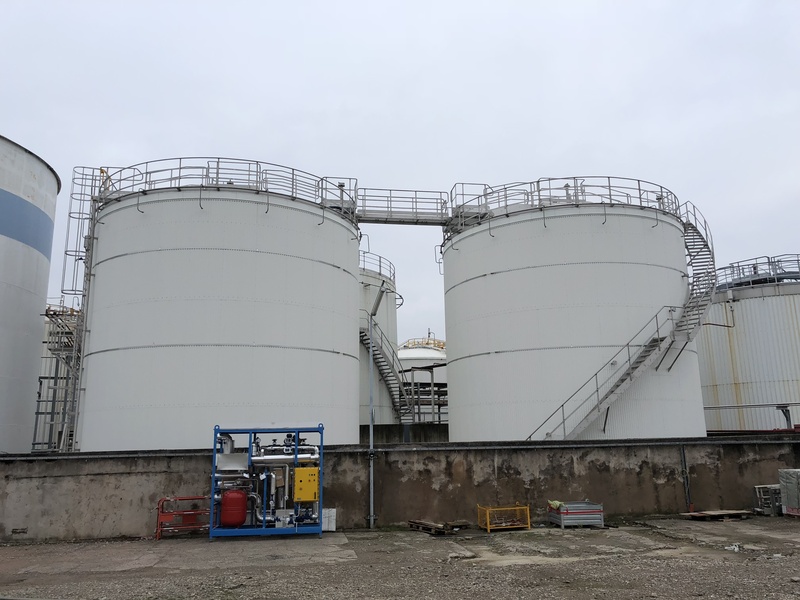 Antwerp Jacking of Ø30m tank to above 2m in height Civil works: New foundation Mechanical works: Complete new bottom and annular plates Tank diameter 30m, heigh of 14m with fixed cone roof. Tank jacked up to above 2m in height. 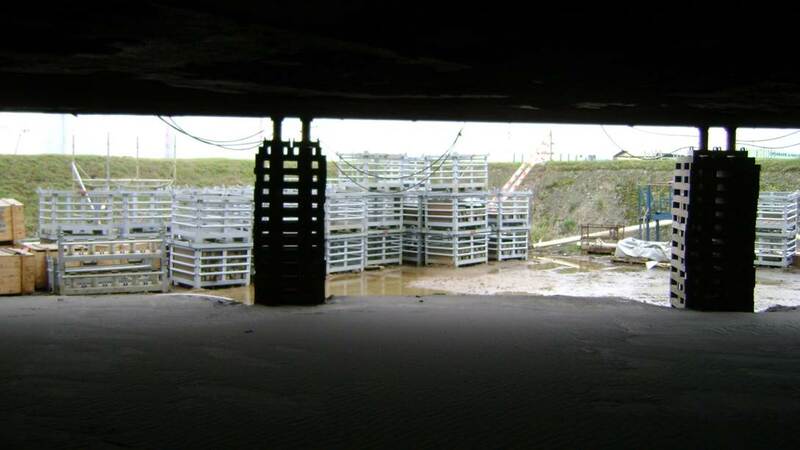 Antwerp Jacking, renewal of complete bottom including annular plates. Renewal of foundation. Tank diameter 55m, closed top. Jacked to 2m.